You can see many important SWMM 5 object result variables if you use the Table by Object Output Tool. 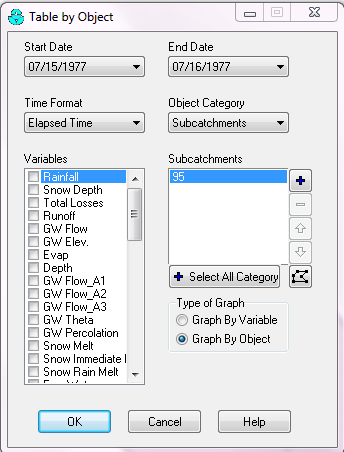 An example would be if you want to see the results of the groundwater, infiltration and surface runoff versus the rainfall over time in one view. It is also easy to copy and paste to Excel if you need to collect the results.